If you are having problems with your wireless internet connection, here are a few simple things you can try that solve most issues. All of your equipment is plugged into one power strip. Reboot your connection by turning off that power strip. Count to 10 before turning it back on. If you have more than one router in the house, look for the place where the cable comes in from outside. 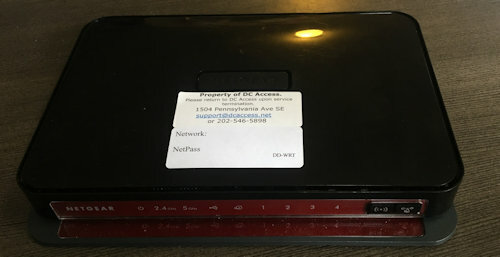 This reboots the connection between the router and the antenna on your roof. When you have trouble, the equipment may need to be rebooted periodically. However, if you need to reboot more often than once a month, please contact us. If you’ve tried rebooting by turning the power strip off and on, but you’re still having a problem, check to make sure your connections aren’t loose or plugged into the wrong spot — especially if you’ve recently unplugged anything or moved a piece of equipment that may have resulted in a connection coming loose. Check the Ethernet connection. The black wire coming from outside should be plugged into the POE port and the other wire should be plugged into the LAN port. 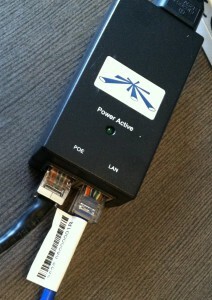 The wire plugged into the LAN port connects to the router in the Internet port, bringing the signal from the antenna to the router and into your home or office. The black POE cord is the cable that comes in from outside and is connected to the antenna on your roof. 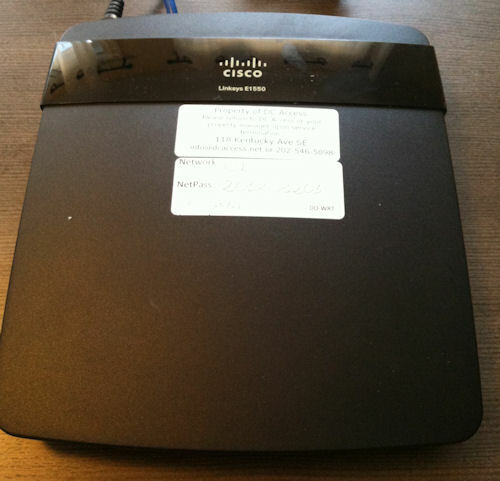 At DC Access, we currently use three types of routers. 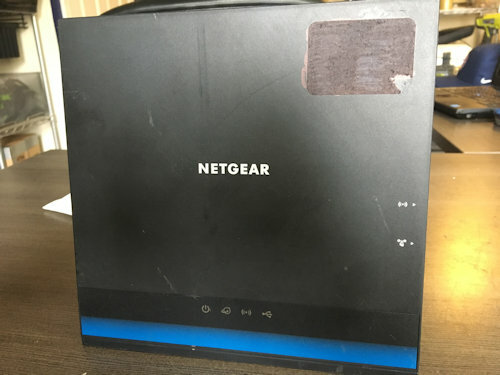 (There’s no real distinction between them in terms of quality; the router you have depends on what was available when we installed your WiFi, and what type worked best in your home or business). Here are the three types (photos on the left) and how each type should be plugged in (corresponding photos on the right). Still having trouble after rebooting and checking your connections? Contact us for assistance at support@dcaccess.net or (202) 546-5898.